Geeta Patel from Ghatkopar East, Mumbai, is an amazing bridal mehendi artist. She first started applying mehendi at small parties and function for her friends and families. Since then, there was no looking back. Well known for the creative wedding mehendi designs, she also draws various mehendi patterns and styles. Some of them are Arabic mehendi , Indo-Arabic mehendi, traditional mehendi, floral style and many more. 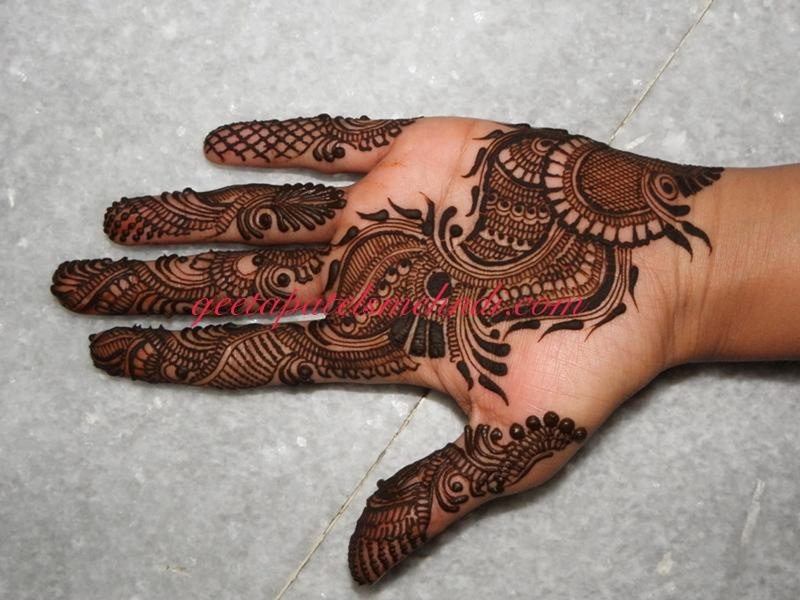 If you desire an innovative mehendi design on the wedding day, then she is the right person. Ghatkopar East, Mumbai, Maharashtra, India. Geeta Patel - Celebrity Mehndi is a bridal mehndi artist based out of Mumbai . 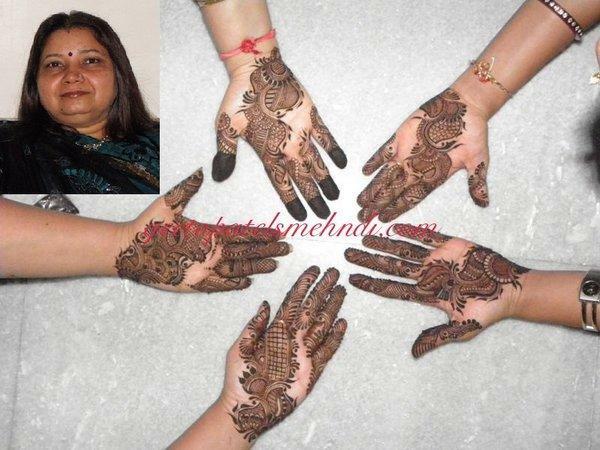 Geeta Patel - Celebrity Mehndi 's telephone number is 76-66-77-88-99, address is Ghatkopar East, Mumbai, Maharashtra, India..
Geeta Patel - Celebrity Mehndi is mainly known for Bridal Mehndi, Wedding Mehndi, Indian Mehndi, Arabic Mehndi. 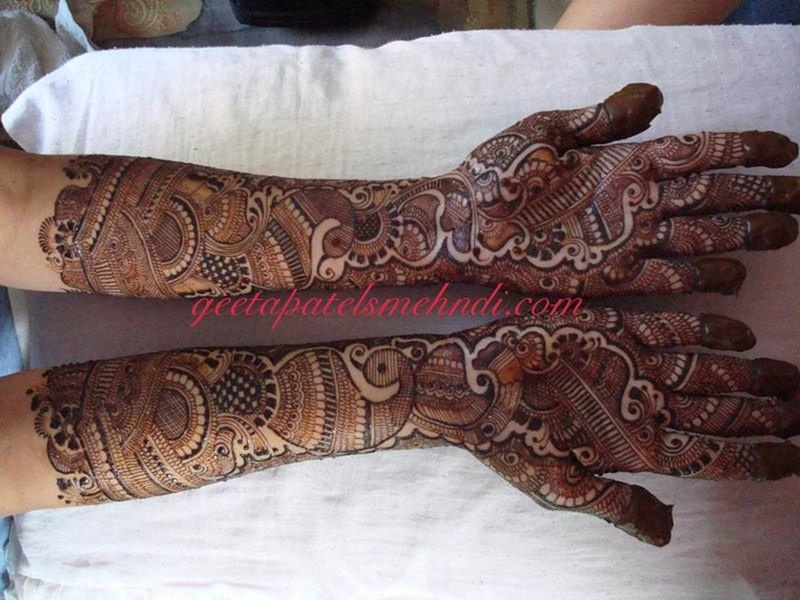 In terms of pricing Geeta Patel - Celebrity Mehndi offers various packages starting at Rs 7000/-. There are 1 albums here at Weddingz -- suggest you have a look. Call weddingz.in to book Geeta Patel - Celebrity Mehndi at guaranteed prices and with peace of mind.